So, how did the Dallas Cowboys do in the 2010 NFL Draft?Â Most of us fans were concerned that the team came away without a big name offensive tackle or safety, widely considered the Cowboys’ biggest needs.Â On the other hand, they clearly got great value with Dez Bryant and the first round and Sean Lee in the second.Â But what about all those late-round picks most of us never heard of? The team’s clearly better than it was Thursday morning, with another home run threat on offense and some terrific depth on defense.Â The consensus seems to be that Jerry Jones and company drafted some kids with real upside but that Bryant may well be the only one to crack the starting lineup this year. Which is likely all we should have expected.Â Â Â The team is talented with no real holes among the starters, with the possible exception of safety and, with the release of Flozell Adams, left tackle.Â But the draft was thin at tackle and, as usual, the best ones went off the board very early.Â The marquee safeties were off the board when Dallas picked in the 2nd and it wouldn’t have made sense for them to pass up Lee, who they had rated as the 16th best player in the whole draft. Unless they’re really bad teams or the Patriots, we always kill GMs after the draft.Â Â Either they went for need and thus “reached” on talent or they went with the mythical “Best Available Player” and are excoriated for not addressing their needs.Â They really can’t win. The Cowboys drafted the NFL offensive rookie of the year in Bryant. But one pick does not a draft make. Sean Lee is the only other draft pick likely to have an impact from this class. Owusu-Ansah is an interesting developmental project. 1 (24) Dez Bryant WR Okla. St.
2 (55) Sean Lee LB Penn St. Round: 1, Pick: 24 (Overall: 24) Dez Bryant, WR, Oklahoma State – The Cowboys took a calculated risk on one of the most talented players in the draft, and it didnt cost them that much to move up a few spots to get Bryant. While Bryants immaturity is a concern, he has the potential to form a Pro Bowl pairing with Miles Austin for years. He should make an immediate impact as a return man, and if he handles his business, its a matter of time before he gives Tony Romo another dynamic target. 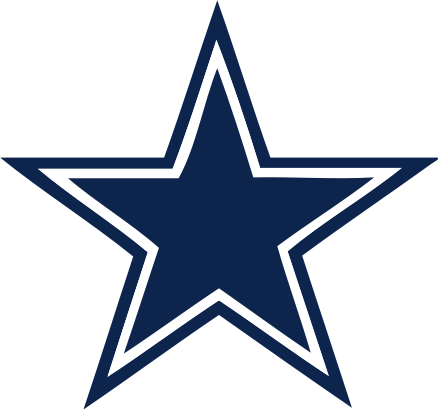 Grade A.
Dallas Cowboys: B- Jerry Jones was known to be very high on Oklahoma State wide receiver Dez Bryant, and as suspected he traded up to get him when the talented wideout began to slip. Bryant is the playmaker the Cowboys thought they were getting when they traded for Roy Williams, but in trading up to get a weapon for Tony Romo, the team may have lost its chance at getting a tackle who could protect their Pro Bowl quarterback. The Cowboys relied on aging free agents Zach Thomas and Keith Brooking at inside linebacker the past few years, but did add the steady Sean Lee in the second round. Of the Cowboys’ third-day selections, small schoolers Akwasi Owusu-Ansah (cornerback) and Sean Lissemore (defensive tackle) have the athleticism worthy of developing. Analysis: Dallas Cowboys: They hope they’ve landed the next Randy Moss after moving up three slots in the first round for Dez Bryant, considered the draft’s best receiver. Bryant, though, fell because of questions about his maturity. Inside linebacker Sean Lee might be a hit. But Dallas didn’t draft a left tackle, increasing the odds of Flozell Adams re-signing. 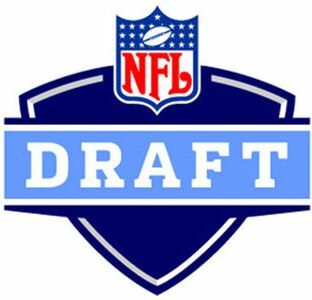 Analysis: Â This draft was not about filling voids; it is about confidence. The year the Cowboys traded down with the Cleveland Browns (who took Brady Quinn), the Cowboys organization showed confidence in Tony Romo. This year, the Cowboys are showing confidence in Alan Ball (or Mike Hamlin) and Doug Free to replace Ken Hamlin and Flozell Adams. It also may show a lack of confidence in Roy Williams. While experts certainly had their checklist of voids on the Cowboys roster, the Cowboys felt quite differently. If the Cowboys were drafting in the top 5 of the first two round, the first two picks would still be identical. Dez Bryant (a top 5 (or 10) talent) and Sean Lee (#16 on the Cowboys draft board). They may be polar opposites in regards to character, but both project as being contributors in the rookie year, and assuming a greater role in subsequent years. Owusu-Ansah was drafted in the fourth round. According to Dave Campo, he is as athletic as some of the top safeties in the draft. How quickly can he acclimate to the safety position? Are the Cowboys getting a workout wonder, or a small school gem? The good news: The Dallas Cowboys likely drafted the NFL’s Offensive Rookie of the Year and a linebacker who will signal the end of the Bobby Carpenter era. The bad news: The Dallas Cowboys still don’t have a play-making free safety or any depth along the offensive line. The Cowboys picked only six players over the three-day NFL Draft, fewest in 10 years. After Dez Bryant and Penn State linebacker Sean Lee, they selected safety Akwasi Owusu-Ansah, Notre Dame offensive tackle Sam Young, Texas Tech cornerback Jamar Wall and defensive tackle Sean Lissemore. Hard not to call the draft a success when the Cowboys (who began with picks No. 27 and 59) nabbed two players rated among the top 16 on their draft board. And with Bryant, the Cowboys not only have a more talented team, but an arsenal of offensive weapons that rivals the group that won three of four Super Bowls in the 1990s. Granted, Troy Aikman, Emmitt Smith and Irvin are Hall of Famers, but quarterback Tony Romo can now hand the football to Felix Jones, Tashard Choice and Marion Barber or throw it long to Miles Austin and Bryant or short to Williams and Jason Witten. So stockpiled is Dallas’ lineup that receivers Patrick Crayton and Sam Hurd are seeking trades. The Cowboys are a better team, with players who will make positive impacts right here, right now. But they failed to address their two most glaring needs. Add it all up and I give Dallas’ draft an A-minus. You? Jerry Jones didn’t listen to his draft board the year Randy Moss came out, but he did this year and moved up for Dez Bryant. The Cowboys don’t overreact in the draft like they used to, but they failed to draft a tackle, and as a result, re-signing Flozell Adams seems like a good idea. Zane Beadles would have been ideal in the second round, but he went 11 picks before Dallas selected. They did wisely move up to grab LB Sean Lee in the second round. He can play either inside spot and will eventually replace Keith Brooking. A kicker and a safety are still needs to be addressed. A Wide Receiver from Weber State is the last selection of this year’s 2010 NFL Draft. Appropriately enough my draft source has no info on this player. On that note, I close the next to last post on the 2010 NFL Draft. Expect some Draft grade posts tomorrow. Still no Tight End selected by the Dolphins and another player expected to convert to a new position in the NFL. NFL.com writes- Pick Analysis: McCoy, from Middle Tennessee State, is another small-school defensive end projected to convert to outside linebacker in a 3-4 defense. McCoy has a quick first step, is a natural bender and has a great motor. Like most of these small-school conversion projects, he’s undersized. A NFL Draft selection who played college ball in the county I live in. FAU is the only university with a football team here, and they have only had a program for roughly a decade. Smith threw for over 3,600 yards as a sophomore and completed 32 touchdown passes. I can’t tell you much more about Smith, NFL.com doesn’t even have a scouting report on him! The Dolphins finally take a safety(They traded at least 2 6th round picks to move up) and he looks like one of the team’s better selections. Then the question is- Why did Jones slip this far? The NFL profile says there are concerns about Jones but nothing specific. I don’t have good vibes about this particular draft of Miami’s. NFL.com writes- The Dolphins continue to upgrade their secondary. This kid had 11 career INTs. He’s an explosive hitter with good ball skills. One concern is that he misses too many tackles looking for the big hit. Needs to improve his instincts in the deep half of the field. Jones is a big strong safety with good athleticism. He has been a productive starter for Georgia over the past two seasons. Jones has decent range in pursuit but lacks great speed, lateral agility and quickness in man coverage schemes. He is better attacking the line of scrimmage than in space and maybe best in the box. Jones is quick to the fill the alley and shows good pop and power as a tackler. He can over run or not take the proper angle at times and this gets him out of position to maintain leverage on the ball. Jones will drop some balls he should catch and shows average balls skills for the safety position. Jones has enough size and athleticism to be a solid NFL safety but there are concerns that may affect his draft status. The first kicker selected in the draft. NFL.com writes- Mesko is a four-year starter that had his best season punting the football in 2009. He averaged 44.5 yards in 52 attempts with 0 blocked. Mesko is excellent at dropping the ball inside the twenty yard line to pin opponents deep into their own territory. Mesko has good size and athleticism for the position with above average leg strength. Mesko has been effective in tough weather conditions and shows poise under pressure. He has been solid with his hang time and distance but isnâ€™t an elite punter in this years draft. Mesko is a solid prospect that will likely get his named called late in the draft.